Family Portraits are for you to enjoy now, and for your future generations to enjoy for years to come. They are created beautifully to capture you and your family interacting. choose your home, family business, a special place, or even the studio as your location to create art work you will love to display on your walls for friends and family to enjoy. Wall Art display options include Traditional Museum Quality Canvas, Archival Mounted Prints, and even Metal Pieces for the more contemporary. 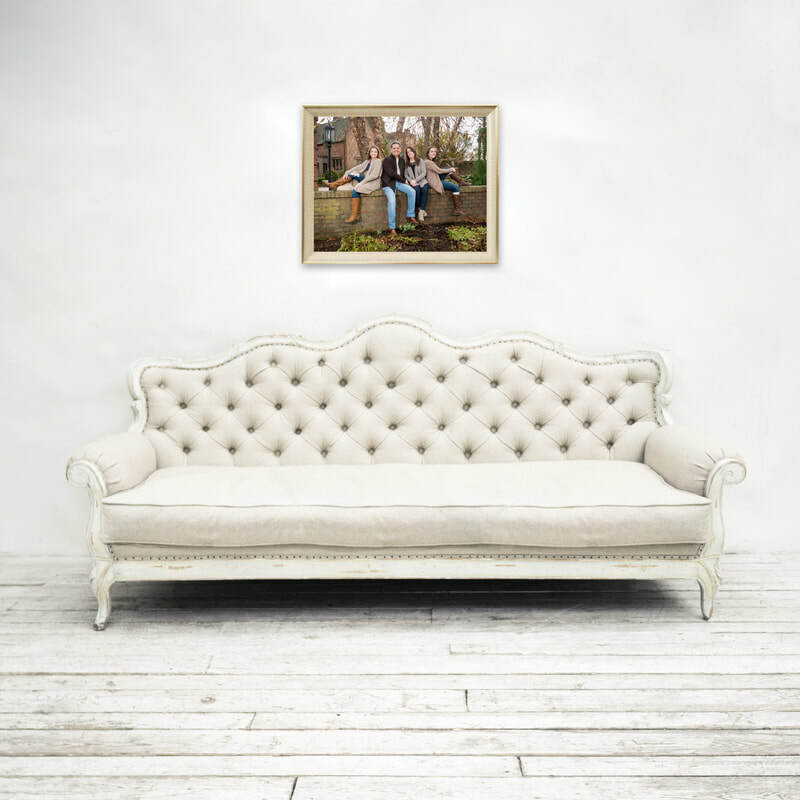 Whether you are a family of 2 or 122, let us help you preserve those special memories and give you something lovely to hang on your walls to enjoy by many for generations to come! "I don’t know how to put into words how much we LOVE the portrait. It’s just absolutely perfect, in every way. It’s JUST what I envisioned. I can’t take my eyes off it when I’m in the room, and it just makes me . . .happy. And the smaller prints are great, and I so very much appreciate the extra print and the ornament! - you made it all so easy, from scheduling, to the shoot itself, to ordering, and delivery. It means so much to us to have this picture, especially now that Maria is leaving the nest soon. . .
so THANK you a million times. Please know how grateful we are to you for this beautiful treasure."